All aboard Amtrak’s Empire Builder for a journey from Chicago to Seattle, and then across the border into Canada, where Vancouver, Jasper and Banff await your exploration. As you begin your travels in Chicago, you will have some time to see the local sites before boarding the Empire Builder for two overnights en route to the West Coast. Puget Sound and the Space Needle come into view as the train arrives in Seattle. A sightseeing tour gives you a glimpse at the city’s best sites before you cross the border into Vancouver, Canada by coach. In Vancouver, you will enjoy a guided tour of the city and a visit to the beloved aquarium. 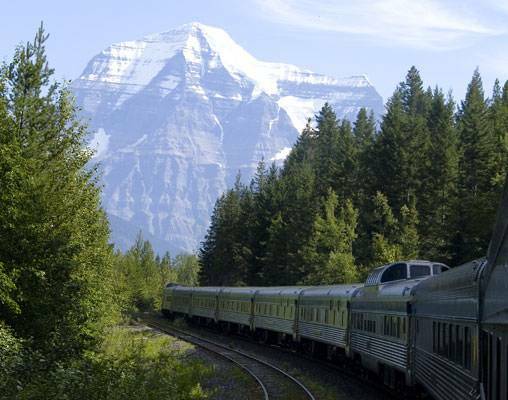 It is also in Vancouver that you board VIA Rail’s Canadian for a trip through the ever-changing Canadian landscape and into the heart of the Canadian Rocky Mountains to Jasper. 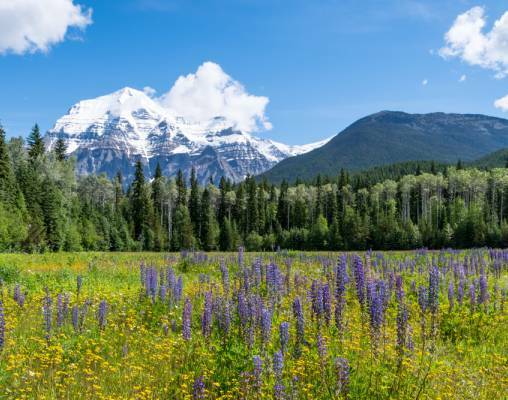 You will visit Icefield Parkway, Columbia Icefield and Athabasca Falls before moving on to Banff. With picturesque views at every turn and plenty of outdoor activities to occupy your time in this mountain village, there are no shortage of things to experience during your guided tour and leisure time. 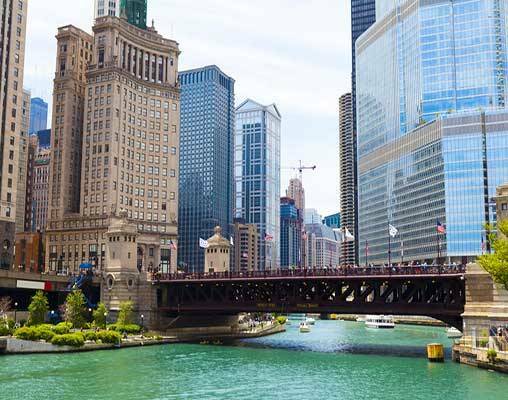 Once your motorcoach crosses back into the United States, you again board the Empire Builder for one more overnight journey - this time to Chicago - to round out this unforgettable train tour. Tour members will meet the Tour Director in Chicago's Union Station. The Willis Tower, one of the world's tallest buildings, is close by. Other Chicago attractions are a cab ride away. 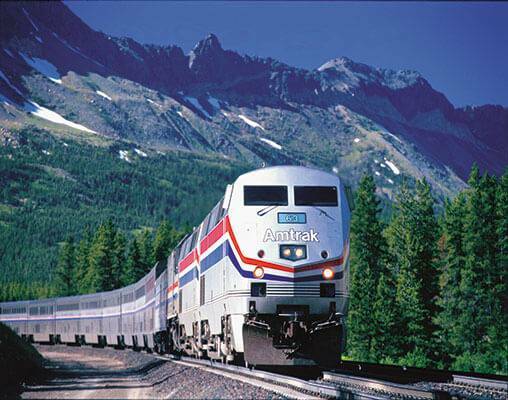 This afternoon we will board Amtrak's Empire Builder for a 2:15 p.m. departure. 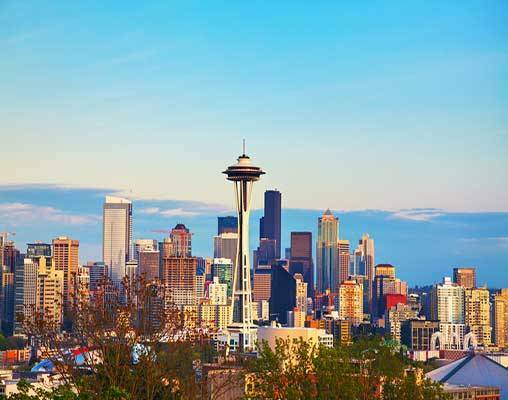 Our 2,200-mile journey will take us across seven states to Seattle, WA. Relax in your comfortable reclining coach seat with leg rest. Roomettes or Bedrooms may be available at an additional cost and include dining car meals. Go to the glass-walled Sightseer Lounge car for spectacular viewing. This evening you can enjoy an optional full-course dinner in the dining car; lighter fare is available in the lounge car. During the day we will roll across the remote lands of North Dakota and eastern Montana. This evening a dramatic panorama of Rocky Mountain peaks will begin to rise above the horizon becoming increasingly dynamic as we approach Glacier National Park. The scenery is striking as we wind past waterfalls, river gorges, and other sights. The glass-walled lounge provides an excellent vantage point. 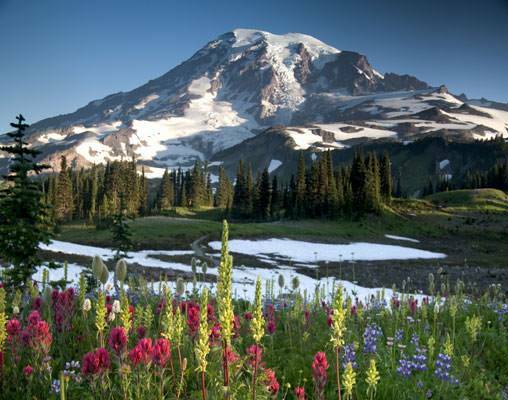 You may want to rise early to watch the sun come up over some spectacular scenery. This morning the Empire Builder will enter the 7.8-mile long Cascade Tunnel. Over the next two hours, we'll wind through the scenic Cascade Mountains and then through the lush Puget Sound area and ease into Seattle late morning. We will set out on a sightseeing tour of Seattle. The tour will include Chinatown, concrete floating bridges, Lake Washington and the University of Washington. You will have time for an "on-your-own" lunch at the famous Pike Place Market. This morning we will board our motorcoach and embark on a sightseeing tour of the city. The tour will include Gastown, Chinatown, Stanley Park, English Bay, Marine Drive, the waterfront and Queen Elizabeth Park. The Empire Builder is scheduled to arrive in Chicago's Union Station at 3:55 p.m. Many of our tour members will conclude their vacation by transferring to Amtrak trains bound for home cities. Some will spend the night in Chicago and return home by air tomorrow. Hotels include the Fairmont Hotel Vancouver, Whistler's Inn, Banff Aspen Lodge, and Hampton Inn & Suites Alberta. Amtrak accommodations are available in Coach, Roomette and Bedroom. Roomette accommodations include a private cabin that features two comfortable seats beside a picture window during the day, which converts to an upper and lower berth at night. Bedroom accommodations feature a sofa and chair by day and upper and lower berth by night. Bedroom accommodations also include a sink and self-enclosed toilet and shower. Upgrades to Roomette and Bedroom sleeping accommodations are available for an additional fee. Enter your details below if you would like to be notified when 2020 dates and prices are available for Springtime in the Canadian Rockies.